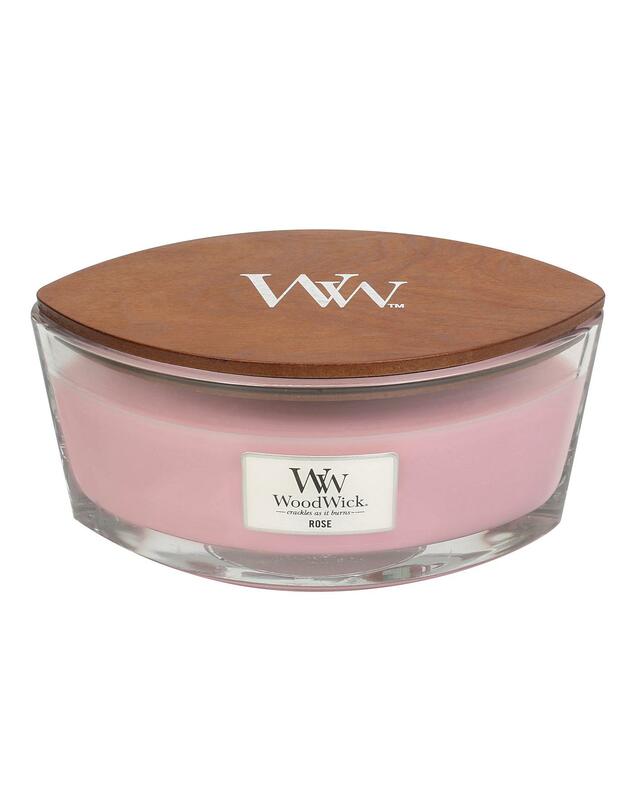 Woodwick is famous for its soothing sound of crackling log fire when burned. 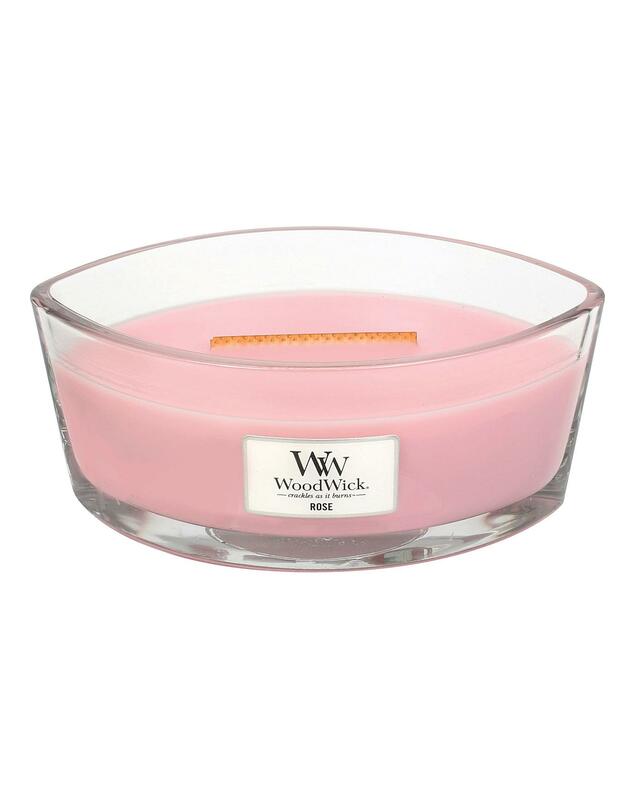 The candle top also doubles up as a heat resistant mat. Delicate pink Roses crown a stunning bouquet of gardenia flowers and primrose.